Do you visit around on the It’s Monday! What Are You Reading? link. I try to randomly choose where to go, so that I visit a variety of book blogs. I decide on a pattern and off I go. It does have a little danger though, because invariably I end up with at least one or two books I really want to read! Rush was one such book I met on my blog travels ( not necessarily this link up), and I decided to read. I would never have come across it otherwise. The blessing of the internet and how it is introduced me to so many books. I finished listening to Crimes Against a Book Club – a fun listen. And I read these from the library and loved them. I also read one review book, a new one in the Haven Point series by this author. One from the way back TBR pile on my bookshelves, randomly chosen, using random.org. Otherwise when I go to choose a random one, I wave my hand around, close my eyes and then point and then go “No, not that”. So I was tough, randomly chose a shelf then randomly chose a book! And listening to my classic for a reading challenge – almost finished it. What a great name, Josephine Moon. You know I have a Josephine? I don’t think I did know that you had a Josephine. Really pretty name. I need to try Josephine Moon. I’ve seen a few of her books and always think “I need to read that” and then of course never do. I’ve got the RaeAnne Thayne coming up and can’t wait. I always love her Christmas books best. Rush looks good and I’ve got Sense and Sensibility coming up on my audio soon and have Persuasion on my list after that. Have a great week! Katherine this is the second of Josephine Moon books that I have read, her most recent but I must back read her previous ones. I think you’d like this one, set mostly in Tuscany with an emphasis on cheese and food. Crimes Against A Book Club looks really good. I hope you have a great week! When I’m choosing links to go read, I like to start at the end and reward those who were late (something I can relate to!!) and might have missed out on some early traffic 🙂 I found another local book blogger one town over from me that way, with your link-up! I love your random approach to choosing a book – that might help me get to some of those really deep TBRs buried now behind second rows! I’m not a huge Austen fan, but I have heard good things about Persuasion – and you’ve reminded me that I am overdue for another classics read myself – thanks! I loved Crimes Against a Book Club. It was so ridiculous that I couldn’t help but laugh through the whole thing. I always find more AWESOME books to add to my toppling TBR. FLIRTING WITH PETE looks good. How are you liking Persuasion? You know, I’ve never read Jane Austen! For me, listening to classics is easier than reading them. When I have the time (which is rare), I like to blog hop and find new reads. However, my online leisure time is so limited that I barely have the time to get my blog posts up! Have a great week! I love that you loved Rush! I really liked Rush and loved my visit to RaeAnne Thayne’s series. Have a lovely week, Kathryn. I still haven’t read Persuasion, might get on to it as I love the miniseries! 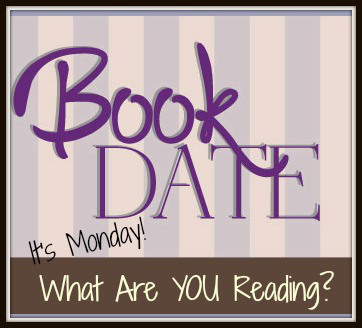 I sometimes find new books to add to my TBR too! I’m looking forward to reading your new reviews. Ah Persuasion. The first Jane Austen I ever read – a requirement for my college literature course. Liked it. The Crimes looks fun and of course I’m interested in the Thayne book. Yes, visiting around clearly has added to my TBR stack. Thanks for hosting and Happy Reading! Blogging has put me in touch with a lot of great authors I would never have discovered otherwise. It’s a true blessing. Season of Winter caught my eye too. Hope you have a great week. Looks like you had a productive week. Thanks for hosting. Have a wonderful week! I do tend to find books when I blog hop, both on this meme and in general- it definitely adds to my TBR! Thayne always has such beautiful covers. I always want to live in them. lol Hope yall have a great week! I’ve heard good things about Rush…and I read Flirting with Pete a while ago. Enjoy all of your books!